A capacity crowd is expected to join 14-time Grand Slam champion Rafael Nadal (ESP) for a blockbuster one-off entertainment event at Margaret Court Arena this summer. 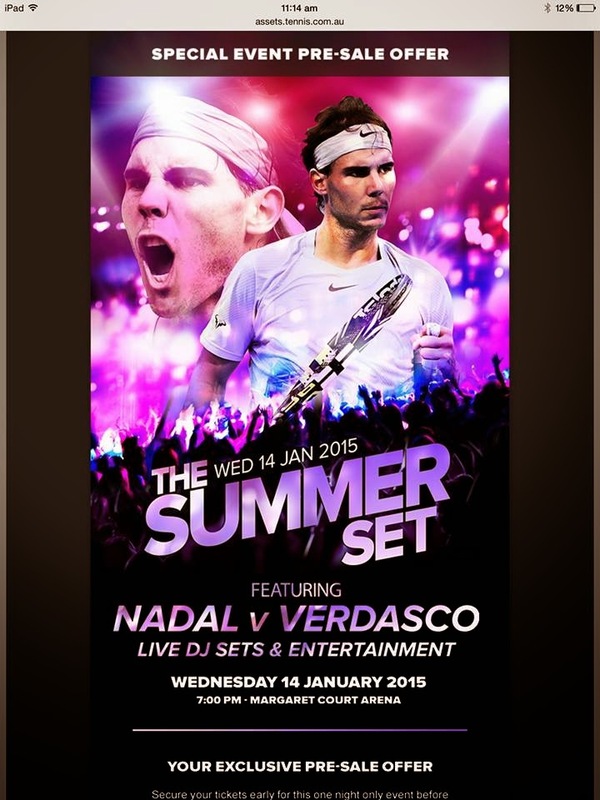 Nadal will be joined by a superstar line-up of tennis personalities for Rafa’s Summer Set on Wednesday 14 January. The raging bull of tennis and arguably the most competitive player to step foot on a tennis court, Nadal will set the stadium alight in January when he takes on a formidable line-up of opponents including countryman Fernando Verdasco. The 2009 Australian Open champion will face off against Verdasco and fellow stars of the sport in an entertaining showdown as he prepares for the first Grand Slam of the year. The event will also feature one of Melbourne’s top DJs spinning the decks as Margaret Court Arena transforms into a do-or-die battleground. Tickets to Rafa’s Summer Set will be on sale at 1pm tomorrow via Ticketek. Tickets are priced at $56 for adults, $51 for concession, $29 for juniors under 16 and $156 for families. Nadal said the event would be a great opportunity for all fans to experience the new-look Margaret Court Arena in tennis mode for the first time. “I’ve heard that the new roof on Margaret Court Arena is now finished and the pictures I’ve seen are amazing. The Australian fans are always fantastic and I hope they’ll come and experience the finished stadium at this special event,” Nadal said. The event will also support the Rafa Nadal Foundation, which assists and provides opportunities for socially disadvantaged young people, and the Australian Tennis Foundation. A range of Premium Ticketing packages is available. For more information contact +61 3 9914 4177 or 1300 309 166, or emailenquiries@aopremiumticketing.com.au.